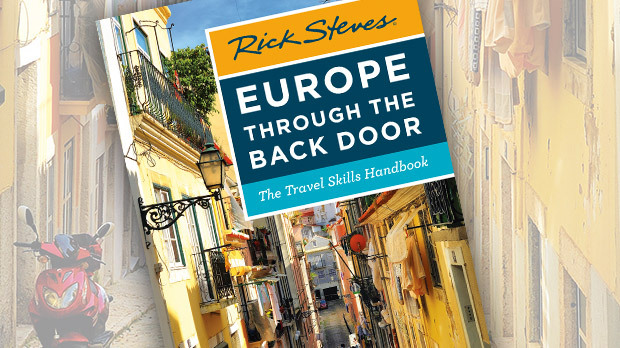 If you're planning your first trip to Europe, congratulations! Learning about the world through travel is the best thing that ever happened to me. Things are different in Europe — that's why you go. But every first-timer has concerns about getting along in an unfamiliar place. Travelers are worried or curious about everything from bed sizes and strange food to language problems and pickpockets. Here are a few friendly tips to help smooth the way. Necessities: I've seen people pack a whole summer's supply of deodorant or razors, thinking they can't get them abroad. 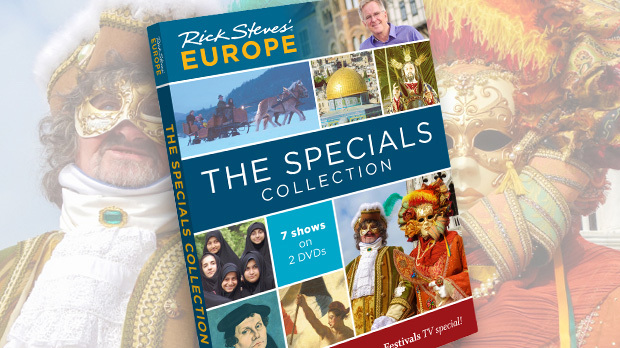 You can get virtually everything in Europe. If you can't get one of your essentials overseas, perhaps you should ask yourself how 500 million Europeans can live without it. Communicating: Getting over the language barrier isn't as hard as you think. Many hoteliers and waiters speak some English, and are used to tourists. (I speak only English and manage just fine.) It's helpful (and considerate) to learn a few words of the native tongue, but you needn't try to master whole sentences. Instead of struggling to muddle through the local equivalent of "Pardon me, could you tell me where the restroom is?" (or blurting out "Where's the restroom?" in English), just ask "Toilet?" A few basic words — and a bit of sign language — are all you'll need. Crime: Europe is a safe place. It has very little violent crime — but there's plenty of petty purse snatching and pickpocketing. European thieves target Americans — we're the ones with all the goodies in our day bags, wallets, and purses. Zip up and secure your valuables, preferably in a moneybelt. Restaurants: I used to think that all those sophisticated Europeans dawdling through their three-hour dinners were showing off. But now I know they're simply savoring the good life — enjoying good food and good company. Think of your dinner as the evening's entertainment — a cultural show-and-tell. Slow service is respectful service. To get the check, you'll have to ask for it, but that's only because your host considers the table yours for the night. At a table or at the bar: Throughout southern Europe, drinks are cheaper at the bar than at a table. The table price can be a great value if you want to linger and enjoy a world-class view (such as Venice's St. Mark's Square or Krakow's Main Market Square). But if you're just tossing down a quick drink, do it at the bar for about half the price of table service. Tipping: Don't overtip. 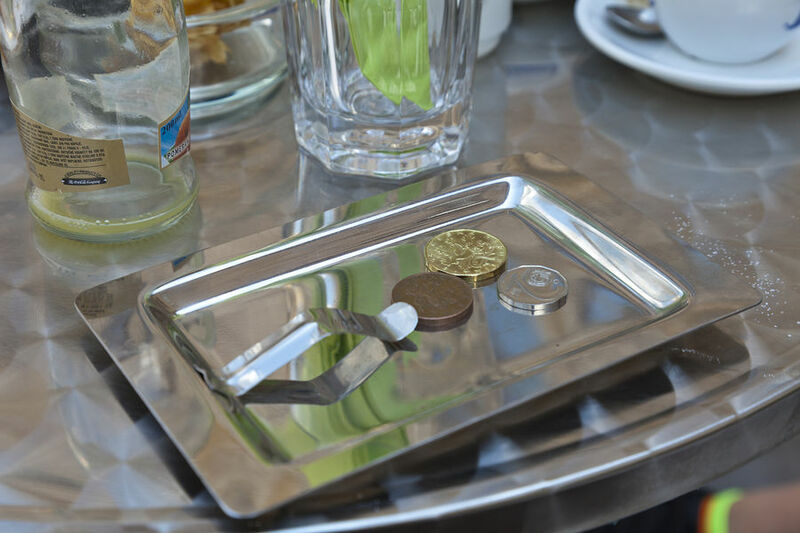 A service charge is almost always included in a European restaurant bill, so locals just leave coins on the table, rounding up their tab a bit — and they often don't tip at all. Get tipping advice from a local (try your hotelier). But don't lose sleep over having walked out of a restaurant in Europe without tipping — it's not necessarily expected. Passport check: Don't be alarmed if you're asked to temporarily surrender your passport when checking in at a hotel. It's a European Union requirement for hotels to collect your name, nationality, and ID number for their law-enforcement databanks. 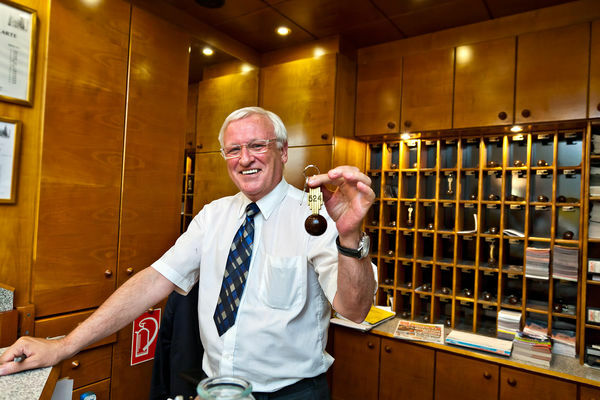 Hotel keys: Especially in characteristic, family-run hotels, you may find yourself fumbling with an old-fashioned key, often attached to a cumbersome key fob. You might be wondering how to fit it in your pocket, but don't even try. Your hotelier expects you to turn it in at the front desk as you come and go from the hotel. In your room: European hotels are often in centuries-old buildings, so be prepared for idiosyncrasies. Rooms are small, bathrooms are quirky, and you might need to climb stairs to reach the reception desk. A "double bed" may be two twins sheeted together. Especially in northern Europe, don't be confused if your top sheet is "missing" — many hotels use covered duvets instead of a top sheet. You may need to lower your washcloth and towel expectations, too (they get smaller the farther south you travel). Night noise: European cities have lots of night noise. If you're sensitive to noise, don't pay a premium for a room with a view — take a quiet room in the back instead (and pack earplugs). Better yet, leave your room: Get out in the streets and make them even noisier. Cultural tourism happens in the streets as much as in museums. Driving: Big superhighways connect Europe's major destinations, but in rural areas and quaint villages, little single-track roads are the norm. Road etiquette varies from country to country. For example, in Germany, never cruise in the fast lane — use that just for passing. Observe and copy. Much of the success of your travels will depend on the attitude you pack. If you're observant and tune into the little differences, you'll have a better time in Europe. Think positively, travel smartly, adapt well, and connect with the culture, and you'll have a truly wonderful trip.